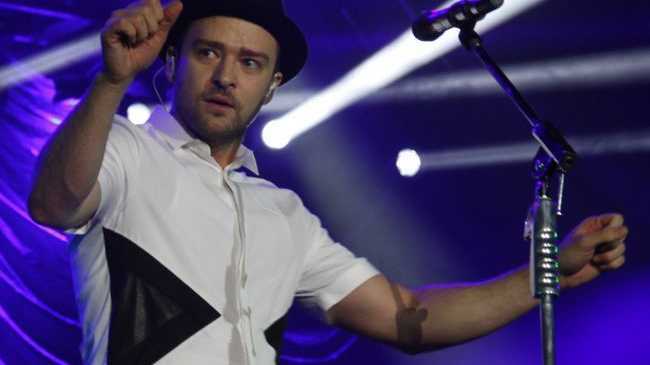 JUSTIN Timberlake had 'imaginary friends' when he was growing up and claims he was a 'weird' child. The 'Take Back The Night' hitmaker, who is married to 'Playing For Keeps' actress Jessica Biel, claims he was "a well calculated risk-taker" before he shot to fame on the Mickey Mouse Club when he was 12 and expressed his creativity in strange ways. He told CNN's 'New Day' on Tuesday: "I had imaginary friends. I was weird." The 32-year-old singer became very ambitious at an early age because he always felt like a loner in Memphis, Tennessee. He said: "I grew up in a small town, and I definitely felt like I was an individual, always. I grew up an only child and I'm always kind of like--you know, when you grow up that way, it's like you get all the perks, but you also get all the responsibility. Like there's no one else to blame the vase getting broken on." Justin took a trip down memory lane when he reunited with his *NSYNC bandmates at the MTV Video Music Awards last month but insists it was a one-off performance to celebrate their role in him winning a lifetime achievement gong titled the Michael Jackson Video Vanguard Award. He said: "I just thought it was a nice tribute. We're not going to go on tour. I mean, I'm glad people were excited about it, but funny enough, it was more for us. It was more for us to enjoy that moment because I felt like really in my heart, shared that award with those guys."